Celebrate the holiday season with this bright, shining card. A wreath made from blue-and-gold Christmas ornaments makes up the center of the image, setting an inviting tone, and an elegant gold bow sits near the top. Sparkles and lens flair surround the ornaments for a polished effect. The dark blue of the background works nicely with the lighter blue of the center. 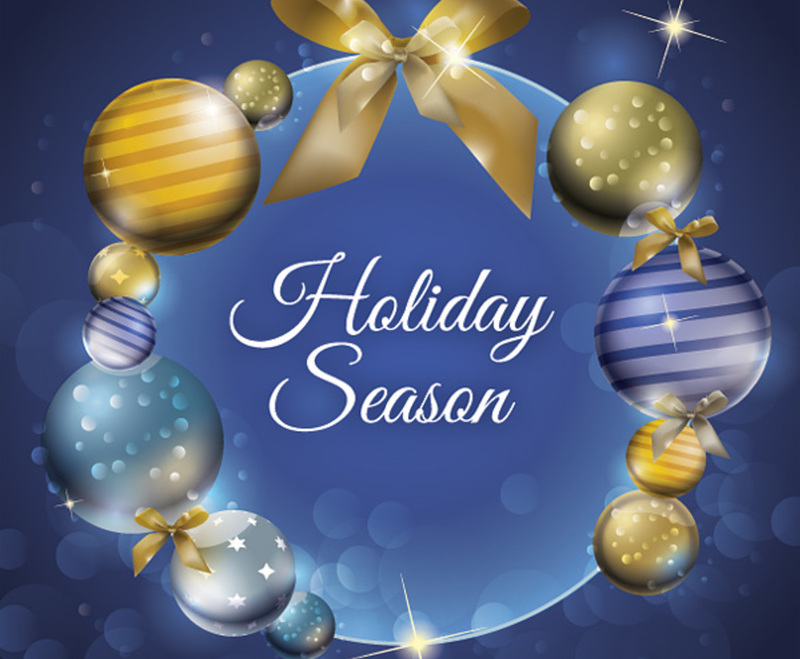 The two areas are separated by a gleaming white circle, which guides the viewer's attention to the holiday greeting in the middle of the graphic. This classy card is filled with little details to show the magic of the holidays.